Philips Lighting South Africa (Pty) Ltd has been announced as Platinum Sponsor of the Africa LED Expo for the next two years. The Africa LED expo is a focused exhibition for professionals to see the latest developments and innovations in the LED lighting industry. The expo will take place from 11-13 September 2019 in Hall 1 at the Gallagher Convention Centre, Johannesburg. Philips Lighting will showcase its advanced colour kinetics lighting system, which enables the same luminaire to provide high-quality intelligent colour and white light, as well as its cost effective Telemanagement lighting system, Amplight. Also on display will be SportsStar LED, which is an innovative, LED-based luminaire that meets the challenges of both area as well as sports lighting. Visitors can head to the prominent Philips stand in hall 2 (C49). Philips has been revolutionising lighting for over 125 years. They pioneered the world changing development of electric light and LED, and are now leading the way in intelligent lighting systems. ‘We are excited to have a leading brand such as Philips Lighting as our Platinum Sponsor for the next two years. The Africa LED expo has been gaining traction in the industry and is the leading showcase for LED lighting solutions on this continent,’ said Africa LED Expo organiser Dyelan Copeland. The expo will be co-located with Africa Print, FESPA Africa and Sign Africa, with its own dedicated area as there is a distinct synergy with the application of the respective products such as printed wall coverings, printed window graphics, way finding signage, Plexiglas, Perspex and other composite materials used with signage and building design. Exhibitors will have an opportunity to share knowledge and products so that best practices can be communicated to stakeholders. The event will focus on: architectural lighting; decorative lighting; commercial lighting, entertainment/gaming lighting and industrial lighting. Visitors to the expo will include: architects; lighting designers; commercial property owners; electrical engineers; ad agencies; the hospitality industry; casino/gaming industry and illumination professionals. As with many other industries, the ebb and flow of technological advancement has resulted in the lighting industry undergoing significant change over the last few years. One of the most important of these technological developments has been LED technology, which has allowed for a range of benefits to lighting applications such as longer lifespan, lower carbon emissions, enhanced efficiency as well as a marked improvement in the quality of light. This has ultimately culminated in LED lighting systems obtaining an ever-growing market share. However, even though more and more people appreciate the benefits of LED lighting, there are still stories and misunderstandings going around surrounding the technology. This article aims to shed light on the most common myths in order to provide a clearer picture of how LEDs can work you’re your business or home. Compared to the average light bulb, LED bulbs do last a lot longer. However, they won’t last forever. Like all light sources, they eventually fade over time. But remember that Philips’ LED light bulbs will keep shining almost as brightly as they did when new for most of their lifetime. Many other brands start to noticeably fade – even after just a year of use. When it comes to brightness, LED bulbs emit the same amount of light as traditional light bulbs, energy saving sticks as well as twisters. In fact, many outdoor roads, tunnels, entire building facades, indoor offices and shop floors are entirely lit using LED lighting today. The main difference is that they use far less energy. For example, a 7W Philips LED bulb is just as bright as a 60W traditional light bulb or a 12W energy saving stick. You can choose a LED light that shines with the familiar warm glow of a traditional lightbulb, or go for one that closely mimics natural light. There’s a LED light for every need in your home or office. LEDs do emit heat, but much less than energy-saving sticks, twisters or conventional light bulbs. Just as importantly, when used in your light fittings at home, LEDs don’t emit infrared (IR), only visible light. You can’t see IR, so it doesn’t add to the brightness of the light. Instead, IR just makes bulbs hotter and wastes energy. Another plus point is that LEDs don’t emit ultraviolet (UV) light either. In the early days of LED, pricing used to be the biggest hurdle to the widespread adoption of LED lighting systems, but this quickly changed as a result of increased competition amongst manufacturers along with decreased production costs. While the initial investment in LED systems is higher than that of conventional systems, the return on investment for the use of these systems is surprisingly rapid, especially when taking maintenance and energy costs into consideration. Due to the long life of the LED, no replacement is required for a long while, and users can expect an energy saving in the region of 50% to 70% compared to traditional lighting systems. Economic payback, then, can be experienced within less than two years. There are several measures that are used to describe light. For instance, colour temperature characterises the colour appearance of a source and describes the apparent warmth or coolness of that light source. The colour rendering index (CRI) on the other hand, is a metric used to measure the quality of light. The CRI for many white light LED systems is typically between 70 and 85 (out of 100), and continues to improve rapidly, making it suitable for nearly all lighting applications. CRI is currently the prevalent method for judging light quality. On the topic of switching rapidly, LEDs are capable of reaching their full output almost instantly after switching on. Moreover, these lighting systems can be switched continuously, without shortening the useful life. Not necessarily! In the past, original equipment manufacturers relied on wattage to give an idea of the brightness of a traditional bulb. But the number of watts (W) is just a measure of the power the bulb consumes. With LEDs, the number of watts does not tell you about brightness. Two different LEDs can consume the same power, but differ noticeably in light output. When selecting LED bulbs, it’s better to look at light output instead of power. The light output of a bulb is measured in a unit called lumens (lm), and this is indicated on the packaging. In addition, Philips also shows the wattage of an equivalent traditional incandescent bulb that would give the same light output, because buyers are still more familiar with this measurement. On vibration, there are no moving parts, filaments or fragile glass used in LED bulbs, so they are very robust. The Philips LED products all pass vibration tests according to internationally agreed standards (IEC), and in some cases, we use even tougher military standards to make sure our LEDs are going to last. Hopefully, this article has managed to debunk some of the LED myths. 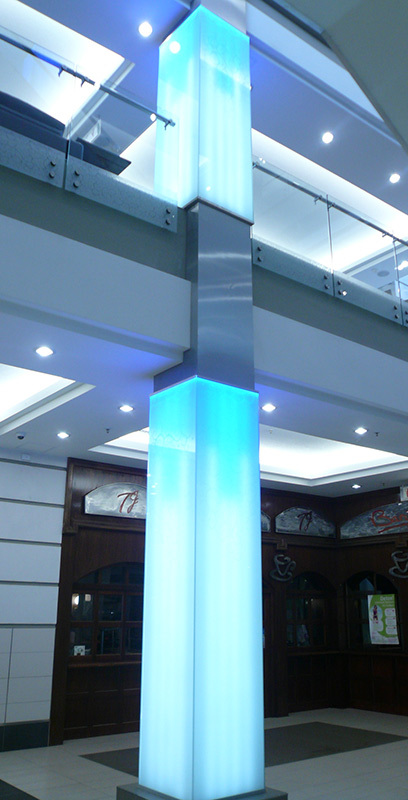 In the end, figuring out the ROI for using these lighting systems at your home or business will come down to a range of considerations that include energy usage, maintenance costs, lifespan of the systems, colour quality, colour consistency as well as making the best of the available technology. Over the course of the last decade, LEDs has become popular lighting solutions because of its energy efficiency, the long-life of the light source, as well as its increasingly affordable. In more and more applications, this established technology is now the lighting of choice. Moreover, it is also lighting up the path towards the future of lighting that is based on the next generation of light-emitting diodes: OLED. However, even though more and more people appreciate the benefits of LED lighting, there are still stories and misunderstandings going around surrounding the technology. This series of articles aims to shed light on the most common myths in order to provide a clearer picture of how LEDs can work you’re your business or home. LEDs do not require any time to warm up. Unlike fluorescent lamps and energy-saving twisters that come on slowly and my even flicker, LEDs shine with their full light output almost instantly after switching them on. They can also be switched on and off continuously, without shortening their lifespan. LEDs can also be dimmed and controlled, as these lights are digital, which basically means they are either on or off. To dim them, they are switched on and off very rapidly (faster than the eye can see), so they can be controlled. However not all LED light-bulbs are designed to dim, so if you want to use a dimmer, then you must choose the lamps that show that they can be dimmed. Look for the dimmable logo on packs. In many cases, you can use your existing dimmer switches. Just remove your current lamp and replace it with a dimmable LED lamp. The first LED bulbs were very white, as this was the most effective way to use them. However, today they are also available in an array of ‘shades of white’ ranging from warm yellow through to cool blue. Look for the ‘shade of white’ indication on the packaging. LED lights LED lights are as safe to the eyes as any other artificial light source. They are not like lasers, the light is not focused to a single point, and the intensity is comparable to traditional bulbs and halogen lamps. The human body utilised light cues such as those provided by the sun, to time its internal functions. These light cues regulate mood, sleep, energy, appetite, as well as digestion. These daily internal cycles are called Circadian rhythms. These rhythms are stimulated by our eyes’ photoreceptor cells, as they measure the blue light spectrum in the light. Although there is a small amount of blue light present in LEDs that are used for general purpose, this is a tiny fraction of the emissions when compared to natural day light. So in short, a LED luminaire designed for general lighting applications does not have enough blue light spectrum to stimulate photoreceptor cells in our eyes, thus it cannot influence our Circadian rhythm. Hopefully this article series has managed to debunk many of the LED myths. In the end, deciding on the perfect lighting solutions for your home or office will come down to a range of considerations that include energy usage, maintenance costs, lifespan of the systems, colour quality, colour consistency as well as making the best of the available technology. Africa LED expo is a focused International exhibition for professionals to see the latest developments and innovations in the LED lighting industry. The expo will take place from 13-15 September 2017 in Hall 1 at the Gallagher Convention Centre, Johannesburg. The expo will be co-located with Sign Africa with its own dedicated area as there is a distinct synergy with application of the respective products such as printed wall coverings, printed window graphics, way finding signage, plexiglass, perspex and other composite materials used with signage and building design. The FESPA Africa and Africa Print expo’s will run alongside Africa LED and Sign Africa. Exhibitors will have an opportunity to share knowledge and products so that best practices can be communicated to stakeholders and visitors can attend lighting lectures at the conference hosted at the exhibition. Entry to the show is free. Register online to receive your confirmation and gain quick, easy access to the show. GE has opened the GE Africa Innovation Centre in Johannesburg. The R500 million, 2700sqm facility will enable skills and SME development in Africa and collaboration between GE, its customers and stakeholders across Africa. The centre, a first for GE in Africa, is another big investment for the organisation, affirming that Africa and South Africa continue to be a good investment destination for big businesses, and that solutions to Africa’s challenges should come from Africa. The centre is the 10th GE Innovation Centre globally. It is the first GREEN and LEED certified GE building in Sub-Saharan Africa and will be GE’s centre of excellence (COE) for innovation in Africa. As part of GE’s continued commitment to support SMEs, the building was 90%+ built, designed, and executed by local businesses. It will be the home to GE’s innovation across Africa within its key business sectors such as aviation, energy, healthcare, oil and gas, power and transportation and will serve as the new headquarters for GE Healthcare. John Flannery, President & CEO, GE Healthcare globally, attended the opening event. The cutting edge facility boasts an Experience and Exploration Centre, coffee shop and catering facilities, agile workspaces, Learning and Development Centre, Innovation Ideation and Collaboration Centre, as well as a GE Prototyping Laboratory and sustainable Healthcare Customer Experience Centre. The Healthcare Experience Centre is designed to mimic different care areas in a hospital environment and includes focused spaces to help familiarise customers with care area technologies in the operating theatre and intensive care unit, cardiology, oncology, maternal and infant care and general radiology and after sales service. Featuring virtual and augmented reality displays and a range of installed equipment, visitors will be treated to a glimpse of an interconnected and efficient hospital catering for both primary care settings and premium facilities. Further, the centre’s eight new permanent work stations will also provide customers with hands-on clinical education and applications training. The Centre will enable skills and SME development in Africa and serve as the basecamp for the Londvolota Enterprise Development Trust, which launched in 2015 with a commitment to accelerating supplier development in South Africa and the equipping of SMEs to participate in the GE value chain. In South Africa, GE has partnered with Transnet SOC to manufacture locomotives for export into the rest of Africa and on the Healthcare side was selected as the key technology provider for the new Nelson Mandela Children’s Hospital, due to open later this year. In Nigeria, GE signed a landmark country- to- country agreement with the Federal Government of Nigeria, covering power, healthcare, transportation and oil and gas. Kenya has its GE Africa headquarters as well as the GE Capital and Aviation Services (GECAS) business. GECAS is the leading aircraft leasing partner for Kenya Airways. In parallel, GE Healthcare is actively executing on a landmark ($220 million) modernisation and capacity building programme in support of the Kenyan Ministry of Health’s landmark healthcare transformation program. Ethiopian Airways is GE’s major partner in the region. GE engines will power most of the airline’s fleet and GECAS is the major lessor for Ethiopian Airlines. In Mozambique, GE is fast growing and actively contributes to the sustainable development of Mozambique. For example, GE has invested $250 000 into scholarships granted to the University of Eduardo Mondlane students, and $250 000 in a science lab and capacity building at Unilurio University. GE has an MOU with the Angola Ministry of Water and Energy towards achieving the country’s 2000MW electricity target by 2016, 7000MW distributed power equipment.